at 8302 Woodmont Avenue, Bethesda. The development was completed in 2017. Sales for available units range in price from $755,000 to $1,595,000. Stonehall Bethesda has a total of 46 units. Sizes range from 1015 to 2434 square feet. Stonehall Bethesda is an elegant collection of 46 condominium residences rising up at the corner of Battery Lane and Woodmont Avenue. 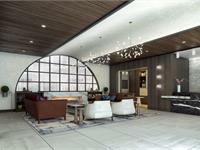 Developed by Duball, LLC, renowned developer of the Lionsgate condominium, this nine-story building blends modern design and timeless architecture. Two-bedroom residences are priced from the $600's, and penthouse residences start at $2.3 million. The Sales Gallery at 7706 Woodmont Avenue is open from 11am to 5pm daily. Those interested can choose their floor plan and begin tailoring their colors, options and added features for a limited time this summer. Residents will enjoy access to the porte cochere and reserved on-site parking. They'll work out at the state-of- the-art fitness center and gather with friends at the club room. The rooftop terrace will be a peaceful retreat looking over the city below. A front desk concierge and on-site manager will be available to assist residents, and a new Harris Teeter is located just across the street. Stonehall Bethesda is an invitation to an exceptional lifestyle. Visit the sales gallery today to begin personalizing a new home to your unique taste. Each fully equipped and upgraded kitchen blends modern style and functional flow to create an exceptional space. Elegant and open living areas become the signature spaces in these sophisticated residences. Unwind in absolute luxury with an immaculately designed owner's bedroom and bathroom suite. Your inquiry will be delivered to the Stonehall Bethesda sales team, who will send you more information about this development.